Today is as fitting a day as any to bring the conversation back to Le Carré Rouge - symbol of solidarity with the Quebec student movement - otherwise known as Maple Spring. 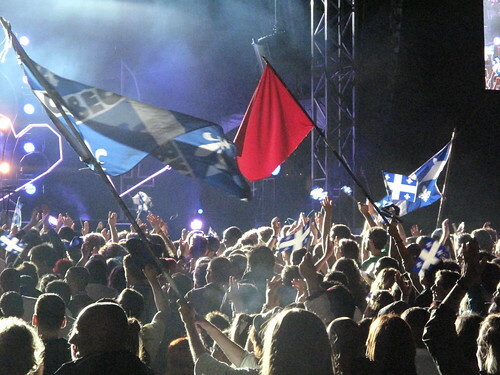 The student protests essentially rose from discontent over tuition hikes, and the Quebecois came out in droves to support them. 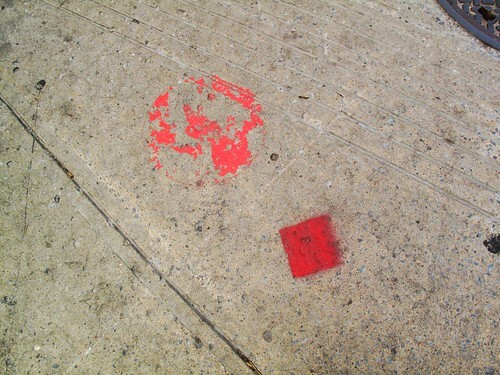 Basically, if you were not wearing a little red square in the summer of 2012, you were... well... square. 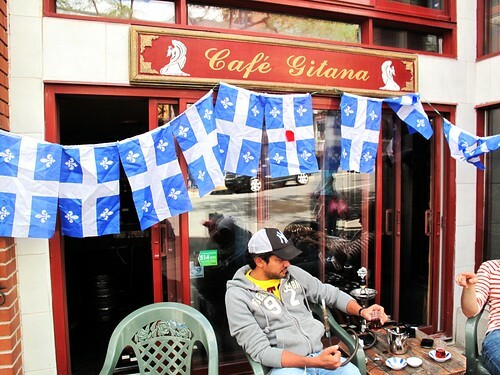 Quebec went to the polls on Tuesday and the Quebec Separatist Party came out winning. 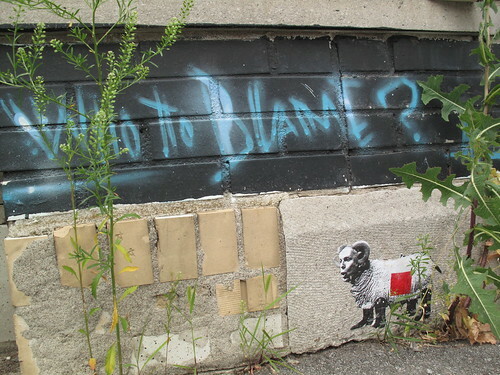 This is largely due to the unpopularity of Jean Charest, versus the Quebecois' desire to secede. Even though I was a little late for Les Casseroles, when the Quebecois took to the streets in peaceful protest banging pots and pans, thankfully, I was in Montreal to witness the vibe. Here's an interview with Camille Robert, a spokesperson from the Carrés Rouges - explaining that the student movement grew to include more than just students, but families, elders and other people who felt the need to manifest their dissent publicly. I'd like to think that yesterday's election of the Separatist Party, giving Quebec a leftist and female head of government, is a sign that true democracy still exists, and that the people's voice does matter, and especially when it comes to our votes, that it just doesn't come down to who controls the money.